Wednesday Walk-Through’s: We invite you to stop by on any Wednesday at 9am for a school walk-through where you can meet faculty, tour the school, and peek into each classroom. Please RSVP to attend. RSVP to admissions@newamsterdamschool.org to join us for any event. Parents and community members: Please join us for an evening walk-through of New Amsterdam School to get to know our staff, learn more about our school, and have your questions answered. Light refreshments will be served. Babies "in arms" welcome. 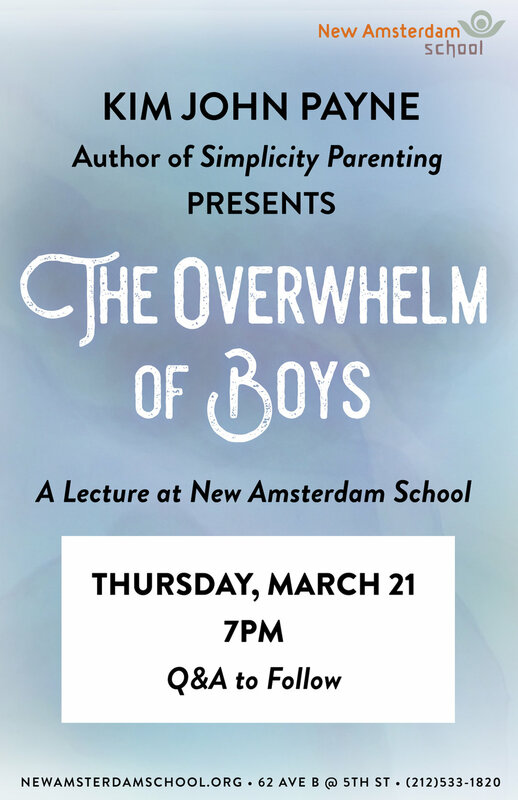 Simply RSVP admissions@newamsterdamschool.org to attend. Join us for flower crowns, a cake walk, open play in nature, music, a puppet show, and dancing around the Maypole! Our May Festival is open to the community and free to attend. Come celebrate summertime! Free for all neighborhood families. We ask that all Family Open Day attendees RSVP to admissions@newamsterdamschool.org and arrive on time at 11:00am. Bring your child to experience our school first-hand at our afternoon Tea & Play, held on the first Wednesday of each month. Children partake in circle time, baking, and free-play in our Waldorf classrooms, while parents observe and meet faculty. Herbal tea served. Cider, Crafts, Treats, Games, & a Puppet Show! Plant-dye Workshop with Kaori Yamashita, our Seedlings and Maples teacher, 8:45am to 12:30pm. Kaori is a master plant dye artist. Fee of $145 includes two play silks and a scarf silk. Tea and snacks provided.